Venezuelan government is still blocking Sh 356 Billion ($4.1 Billion) in ticket sales owed to airline operators flying into the country. This arrears International Air Transport Association(IATA) fear could deny the global air transport industry revenue to hit a collective profit target of Sh 1.6 trillion ($18 billion). The Association now wants the Venezuelan government to honour the commitment it made in March to permit airlines to repatriate in full and at fair exchange rates airline funds being blocked in the country. While the government has permitted the repatriation of $424 million shared among a number of airlines, continuing sales in the country have seen the total amount owed grow to a staggering $4.1 billion. “Airlines can no longer afford the risk of not being paid when providing services to Venezuela,” said IATA in a statement. International capacity to and from Venezuela is down 49 percent from peak service levels offered last year and 36 percent lower year on year sparking fears the country’s ability to recoup needed cash. “Confidence in the market is falling sharply. Most carriers are limiting their risk with reduced capacity. Several have completely pulled out. 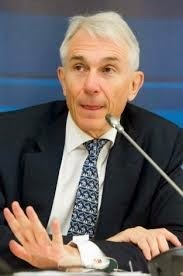 Venezuela risks becoming disconnected from the global economy,” said Tony Tyler, IATA’s Director General and CEO. The Venezuelan government has made many promises to abide by its obligations,but $4.1 billion remains unpaid. In a fourth letter to President Nicolas Maduro on the topic of the blocked funds, IATA called on the President to lead a high-level dialogue with IATA on behalf of the two dozen airlines whose money is at stake. “ The goal should be to clear the debts quickly in a way that is fair and acceptable to the airlines involved,” said IATA. Tyler requested a meeting with the President to scope out grounds for a potential agreement.